The Honeypot Ant is the perfect metaphor for how to survive in the post-consumer world: save and spend when needed. Just two easy steps. When food is abundant, the honeypot ant gets it’s nom on courtesy of other worker ants that feed it till it’s nearly bursting at the seams. 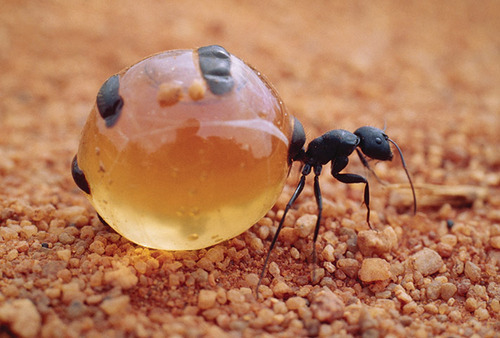 The ant converts the food into a sweet liquid-y substance which is stored within the swollen abdomen. 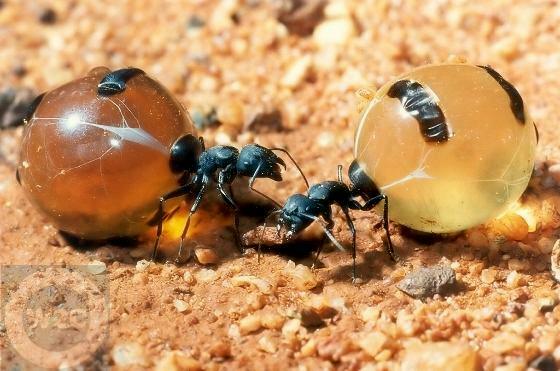 In this state the ant can balloon to the size of a grape, unable to move much within the colony walls. 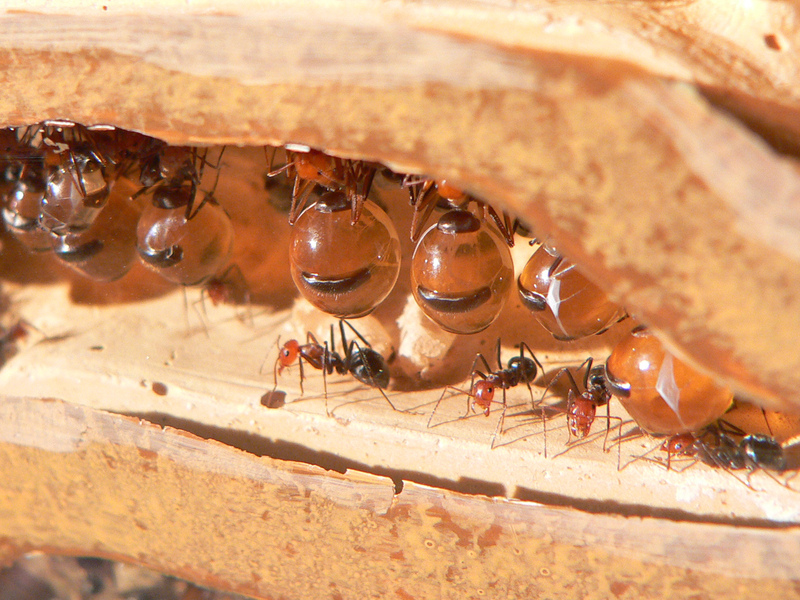 When food is scarce, the honeypot ants regurgitate their stored nectar to feed their nest mates. According to Wikipedia, ‘in certain places, they are eaten by people as sweets and are considered a delicacy.’ Who’s hungry now? Special thanks to dear reader Marcie for sending us this little treat. “Sloth” photo by Greg Hume.